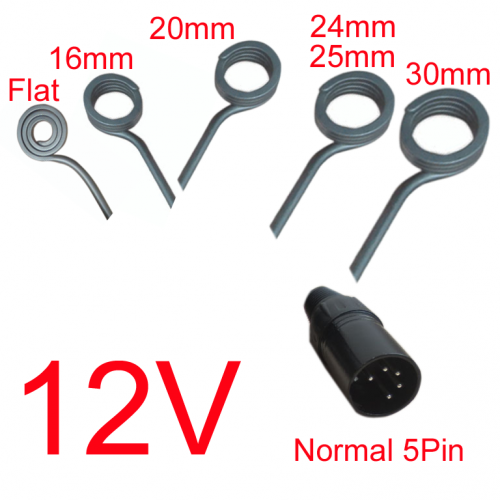 GIMIDO 12V Coils,16mm,20mm,24mm,25mm,30mm,Flat coil. Use NiChrome(Ni80Cr20) Resistance Wire. Heat up 710F immediately. Made in China. 12V50W to 70W, if you need customize wattage, please shoot notes to us, same price, but need to wait 2~5 days. 12V Coil has more transfer area with the Ti Nail. XLR Diagram(Default fit D-nail Units), Other Diagram available if you tell us.